Nothing but Peony Bliss: Made of premium quality material,the exotic nearly natural peonies are not fake looking at all. 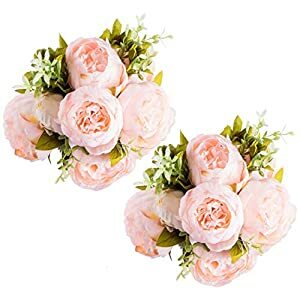 The splash of spring colors will make a jumbo bridal or bridal maids bouquet, add a nice touch to wedding centerpieces or dress up a wedding head table backdrop. 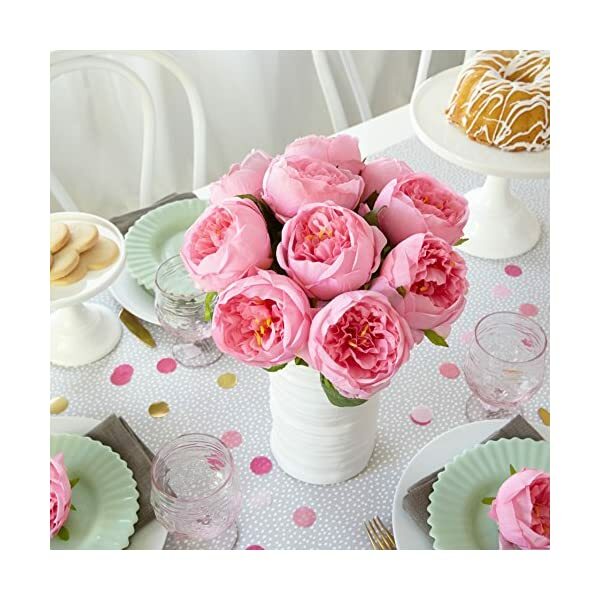 FAUX PEONIES MAKE GREAT DECOR FOR HOME OR OFFICE: Brighten up your home and office with a peony silk flower bouquet. “Plant” them in flower pots to brighten up a dull porch or patio. Unlike real or dried flowers, they will never wilt, it will stay fresh forever. 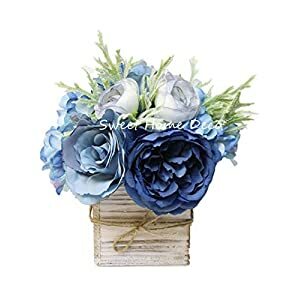 PERFECT DECORATIONS FOR BIRTHDAY & EVENTS, GET WELL GIFTING: Use as centerpieces for the party tables or place these lovely artificial flowers in a vase for a gift. Perfect for giving to a friend or loved one in the hospital. Pollen-free means allergy-free. Nothing but peony bliss! 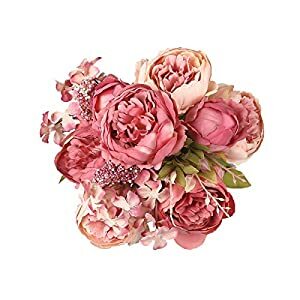 These lovely artificial flowers are right at home, whether they are being carried down the aisle by the bride and her court as a peony silk flower bouquet or being displayed as wedding decor on the tables on the reception. 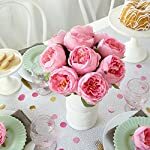 These lifelike beauties do not seem like your average fake flowers, but with their vibrant color and natural feel, they carry joy to any occasion. Grace your house, both indoors and out with a nearly natural flower arrangement. These beauties dress up a window box without or with additional plants or flowers. Give your place of job or conference room a pick-me-up with a flower silk bouquet. They make an excellent party decoration and gift. Great decor for staging a home for sale. Our superior quality peonies are so life-like. We do not cram five flowers on one stem, but ours mimic the natural great thing about the flower, with one flower per stem. Silk flowers do not wish to be watered, fertilized, weeded, and so on. so no “green thumb” is required. 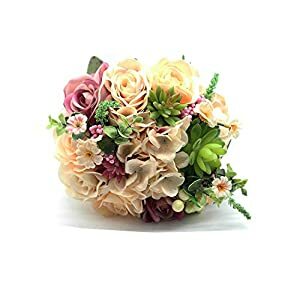 Please allow various time before your event so you’ll be able to “fluff-up” each and every flower as they do get somewhat crumpled all the way through storage and shipping. 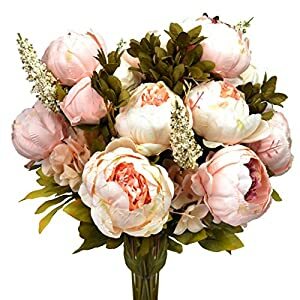 Nothing but Peony Bliss: Made of premium quality material,the exotic nearly natural peonies aren’t fake taking a look at all. 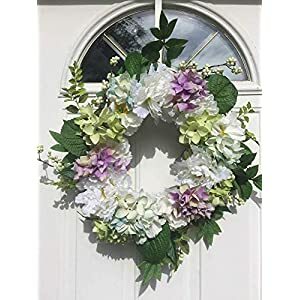 The splash of spring colors will make a jumbo bridal or bridal maids bouquet, add a nice touch to wedding centerpieces or dress up a wedding head table backdrop. 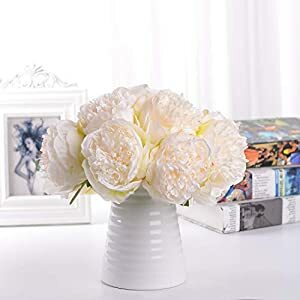 FAUX PEONIES MAKE GREAT DECOR FOR HOME OR OFFICE: Brighten up your house and place of job with a peony silk flower bouquet. “Plant” them in flower pots to liven up a dull porch or patio. Unlike real or dried flowers, they are going to never wilt, it’s going to stay fresh endlessly. 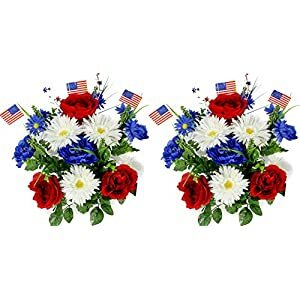 PERFECT DECORATIONS FOR BIRTHDAY & EVENTS, GET WELL GIFTING: Use as centerpieces for the party tables or place these lovely artificial flowers in a vase for a gift. Very best for giving to a friend or loved one within the hospital. Pollen-free means allergy-free. DIMENSIONS AND INSTRUCTIONS: The blossoms measure 3.5″ in diameter, with 14″ stems (from the highest of the blossom to the tip of the stem. 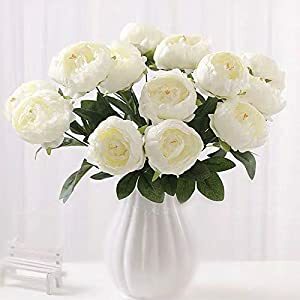 A day or two before your event, you’ll be able to most definitely wish to “fluff up” your peonies, as they do get somewhat crumpled all the way through storage and shipping.